Enable an end-to-end transport solution covering all needs in terms of transport type, transport mode and network providing a real-time management and control on transportation process, including multi-leg and multi-supplier (primary and secondary), for all types (truck and train, sea and air). Improve the travel planning through dashboards and mapping tool managing any type of transport request (inbound and outbound, single-mode and multimodal transport modes) and support the carriers and 3PLs selection. 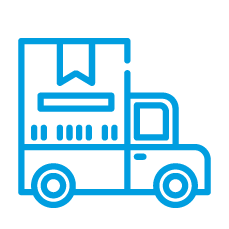 Minimizes transport costs by automatic comparison (service, lead-time, and cost-benchmarking) of all shipment and the related to 3PLs available. 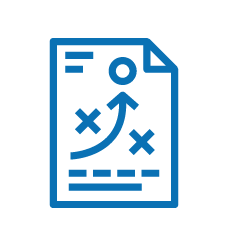 Optimize delivery and return taking in consideration the logistic planning constraints (loading / unloading points, orders and vehicles) in order to minimize the costs. Reduce the operating costs of carrier engagement by improving collabortion efficiency using structured channels, predefined according to different types of carriers or 3PLs, or a collaborative portal with multichannel communication feature. Reduce waiting times by improving the efficiency of truck use through a collaborative loading and unloading process. 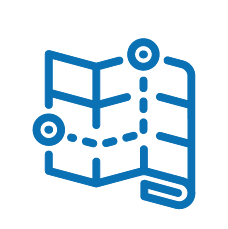 Ensure a continuous flow of material enabling the warehouse or plant’s through-put optimization using a real-time integration with locating systems and graphical tools (layouts). Enable a pro-active management for all shipping types and tracking number information available at item level by providing shipment data and monitor all the transport and logistics phases from taking over to delivery of the goods. Improve track of pallets delivery and minimize freight claim costs by monitoring all delivery documentation (attachments and PoDs at product line level) and reverse logistics. Enable an effective supply chain management by taking control of freight rates and logistics contracts. 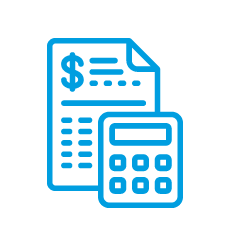 It manages complex shipping rates too that include fuel-surcharge so reducing the time spent on checking billing and eliminating disagreements. Streamline costing process by providing real-time calculation for all types of transport costs (base, freight, accessories, and etc.) and allocate the spending to the appropriate cost centre or product line. Improve the pre-invoice process checking and mismatching in order to validate only actual shipping costs. 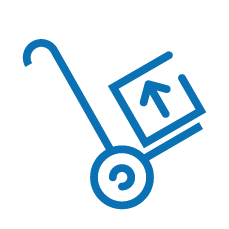 Increase the courier delivery process efficiency by allowing you to choose among several contracted options that cross product, destination and types of service in order to make the best choice. Provide detailed shipping information by collecting tracking data that various couriers publish on their sites and harmonizing the various codes in one single prospect. Handle sales to final customer by addressing e-commerce scenarios integration into Supply Chain model. Minimize cost, optimize service levels, and create process automation within global transportation and logistics networks. All information is available for supporting the real-time decision-making. *Source: Internal research conducted on a significant target of customers. Govern logistics processes sharing information across the value chain and improve the transportation delivery tracking through an effective collaboration with your logistics service providers enhancing agility and operational efficiencies. Enable to provide the best route possible matching all key business factors (domestic and international transport, modal or intermodal shipping; and inbound or outbound operations) and providing a range of simulation scenarios. Enable data and exception analysis with drill-down features and a rapid development of KPIs and reports. Provide a wide range of services to support the internal users after go-live and accelerate the suppliers’ onboarding improving the effectiveness of the project. The introduction of the new TMS not only generated a process optimization, but prompted us, during the mapping of the workflow, to undertake a thorough analysis of our procedures and operations which in some cases led us to decide to review and redesign the processes. Even at this stage, the support and advice of TESISQUARE® have been fundamental to the success of the operation.